*NEW!! 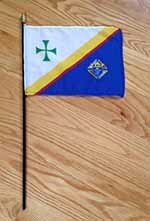 KofC Flag Only. 8" x 12" nylon flag mounted on 5/16" wood dowel.